Remove existing curtains to expand data center enclosure? Home » FAQs » Do I have to remove existing curtains to expand my data center enclosure? The right air flow management plan can keep your data center running efficiently and effectively, even helping to extend the lifetime of the servers. If you plan on expanding your data center, you will have to examine your current layout to determine if—and where—you should remove curtains. Your data center design will be arranged in a way that creates the most optimal air flow for all sides of the server aisles. Comparing your existing layout to the proposed data center design, including structural obstacles as well as end aisle or entry doors, will be a major consideration in determining which curtains need to be removed or repositioned. If you expand upon your current enclosure, you will most likely only need to reposition one side of a section to conform with the addition of new panels to complete the enlarged enclosure structure. Ultimately, you will want to make sure your curtains do not cause an obstruction to walkways or areas of entry and exit for employees or maintenance workers. Before you begin any new design or expanded layout you’ll first need to re-evaluate where your return ducts are located to prevent any obstructions and to optimize your air flow patterns. 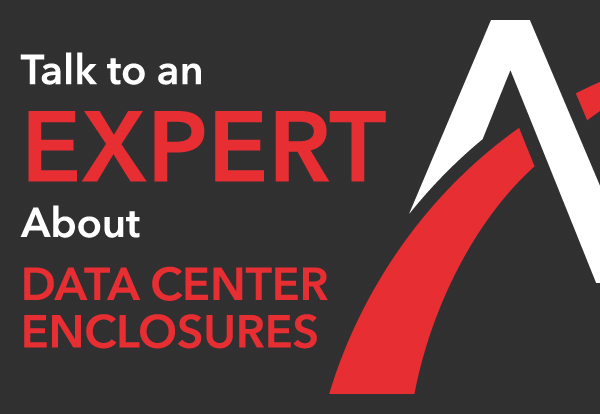 Consult with one our data center designers for additional help in designing and expanding your data center enclosure.